Welcome to our free eBook library at Dallas DCJR! We’re thrilled that you’ve decided to stop by today to learn more about the car buying or leasing process. On this page, you’ll find a wide variety of helpful resources that cover an expansive selection of topics. Shoppers in the areas of Dallas, Garland, and Arlington should read ahead to get started! With all these convenient resources in one location, you’ll be able to spend more time enjoying your car buying or leasing experience, and less time scouring the internet for information. On top of all the free resources we proudly offer inside this free eBook library, we can also help you take the subsequent steps to help you find, finance, and maintain your next vehicle. At our full-service dealership, we offer an expansive selection of vehicles, a friendly finance team, and a convenient, on-site service center. Get Started on Your Next-Car Research! 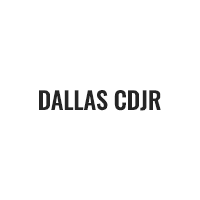 We at Dallas DCJR are so excited to help you get the ball rolling on buying or leasing your next vehicle. After reading through the many helpful resources inside this free eBook library, we hope you’re ready to take the next step with us. Get started today by browsing our expansive new and used car inventory on our website. Then, shoppers in the areas of Dallas, Garland, and Arlington can schedule a test drive by giving us a call at the dealership!